This entry was posted in Uncategorized and tagged Agents, Customers, Daily Mirror, dividend, Farepak, Insolvency, Release, Unfairpak by unfairpak. Bookmark the permalink. 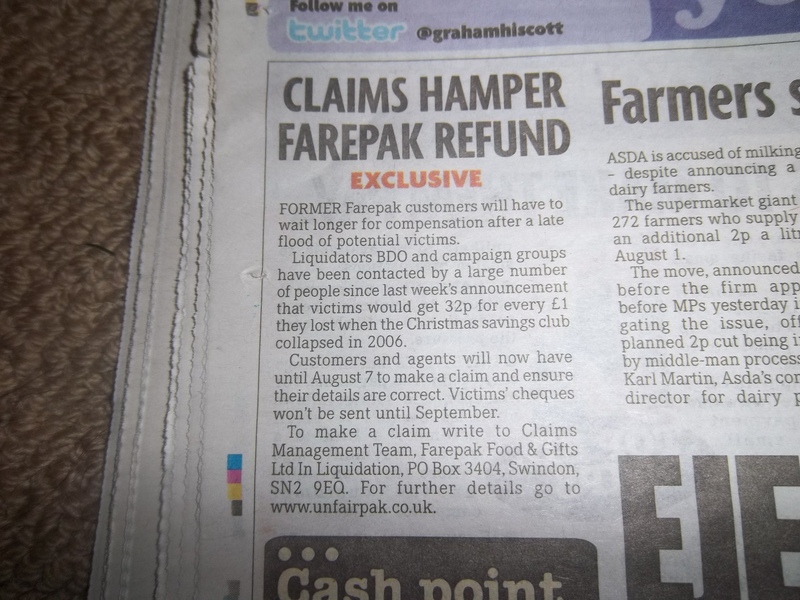 Hi I am just enquiring as to whether I need to re-register as a claiment for the agents / client of farepak.My agent number was 31058520 and my ref number is MHT/BR/261536/MTJ6 with the Claims Management Team. If you are already registered you do not need to re register.